Do you feel like you are spending too much on your employees and not getting the value that you need? Are you spending lots of money on all sorts of HR vendors but still not seeing the results? How are you using it to formulate your overall Human Capital Strategy, the underlying substrategies for the seven elements of HR Management and for insuring successful implementation? 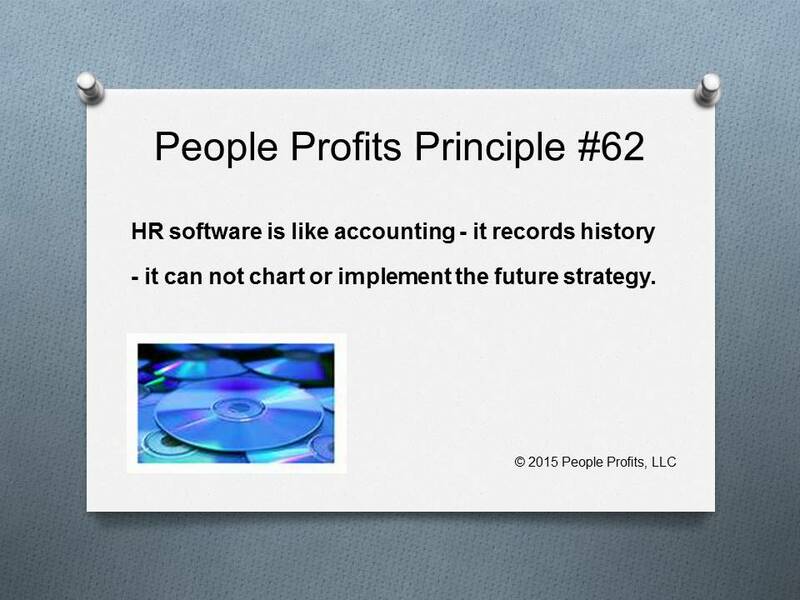 Payroll providers supply a Human Resource Information System (HRIS) with their payroll software. Many of the systems are quite good and can provide a significant amount of information about your employees. However, a HRIS can not take the place of a well thought out and successfully implemented Human Capital Strategy. The HRIS is one of the very useful tools in tracking whether or not your strategy is working. It is also a tool in gathering information to formulate your strategy.